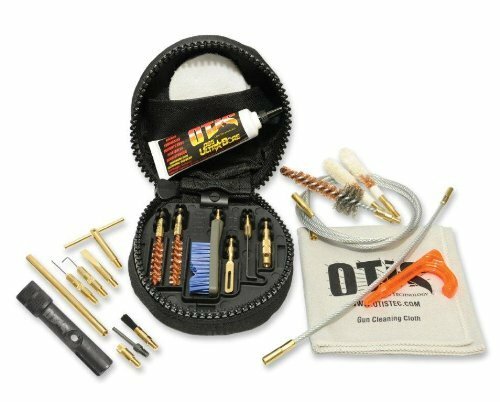 Continuing to lead the industry in firearm cleaning devices, OTIS Technology has announced several new products at the 2016 SHOT Show that make cleaning your weapon easier and more convenient. At the top of the list is expanding its popular Ripcord product to five additional calibers — .17, .22, .257 and .338. With nine other sizes currently on the market, this one pass cleaning tool can now be extended to a whole variety of rifles, pistols and shotgun. Another AR cleaning tool includes the AR Vent Hold Scraper to quickly and easily clean carbon build-up, fouling and excess oil from the vent hold in the gas tube area of MSR/AR-style rifles. In response to consumer feedback, OTIS is also launching a consumer version of a military gun cleaning system known as the I-MOD Cleaning System. This kit is designed specifically for cleaning your weapon in the field just like troops on the battlefield would carry. Lastly, OTIS has adapted its popular MSR Cleaning Pack to accomodate .223 cal MSR/AR rifles. The kit comes with a Ripcord and everything you need to keep your firearm working like it did the day you bought it. “Over the past several years, we’ve focused on developing tools that take the hard work out of cleaning difficult areas of modern sporting rifles. The MSR Cleaning Pack bundles some of our top sellers in one package, offering the consumer with the tools necessary for proper maintenance,” states Frank Devlin, National Sales Manager for Otis Technolog in a press release.